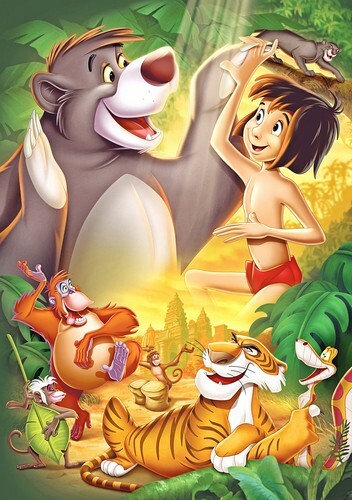 Walt Disney Posters - The Jungle Book. Walt Disney Poster of Bagheera, Baloo, Mowgli, King Louie, Shere Khan and Kaa from "The Jungle Book" (1967). HD Wallpaper and background images in the personnages de Walt Disney club tagged: walt disney characters walt disney posters the jungle book bagheera baloo mowgli king louie shere khan kaa.